I recently received an exciting parcel from BzzAgent. It contained lots of goodies from Santa Maria (previously Discovery ). Now I love Fajitas so I was really excited to get stuck in! 1. Chop some chicken and a red onion. 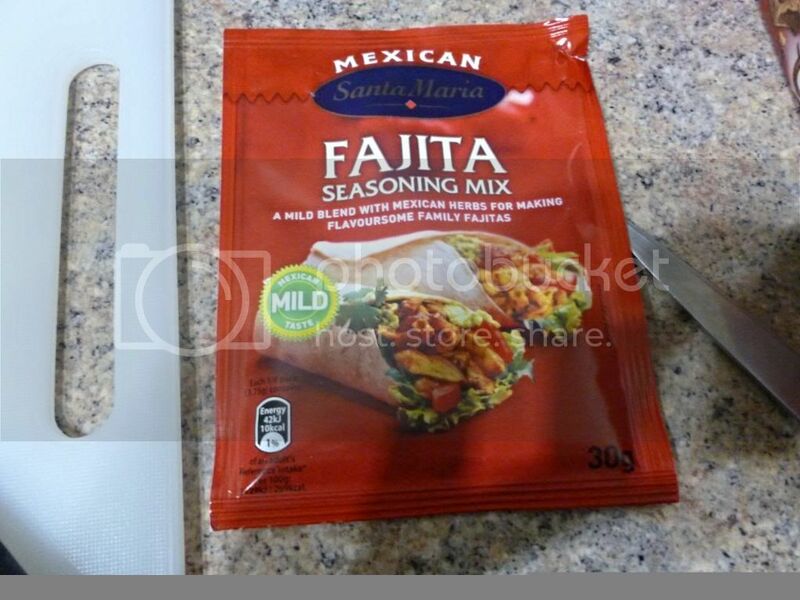 Mix with the Fajita seasoning sachet and oil. 2. Fry chicken and onions until browned and then add a sliced red pepper. 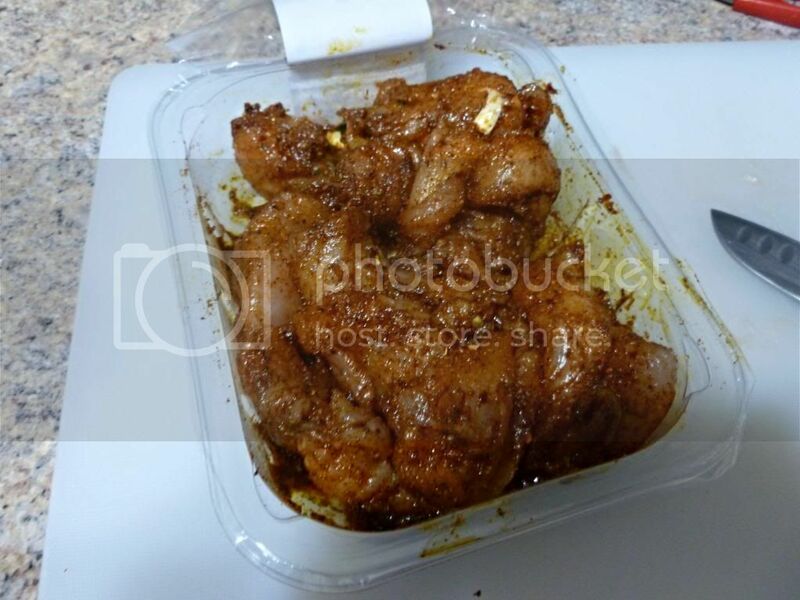 Fry for about 5 minutes and check chicken is cooked through. 3. 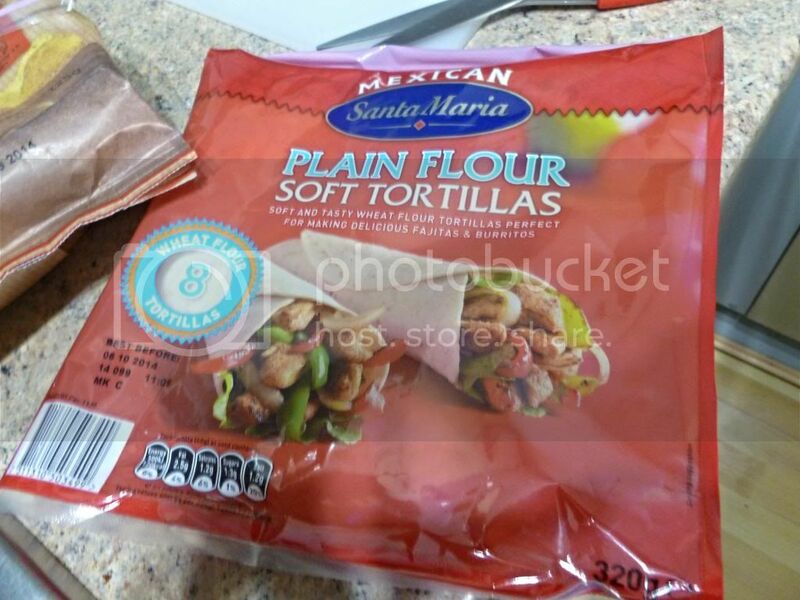 Heat your tortilla wraps in the microwave. 4. 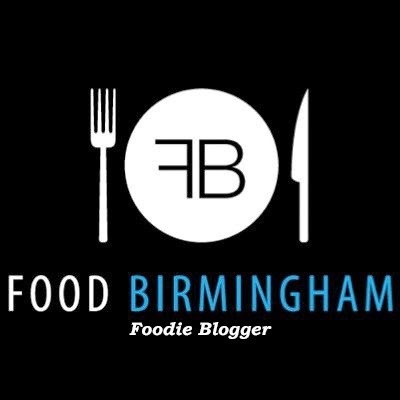 Build up your fajita! We used the salsa that Santa Maria had sent. It was chunky and flavourful. We also had some guacamole in the fridge! I usually have lettuce on a fajita but I'd forgotten to buy any, boo. I also decided to add the exciting corn chips from the packet. These are an interesting concept. 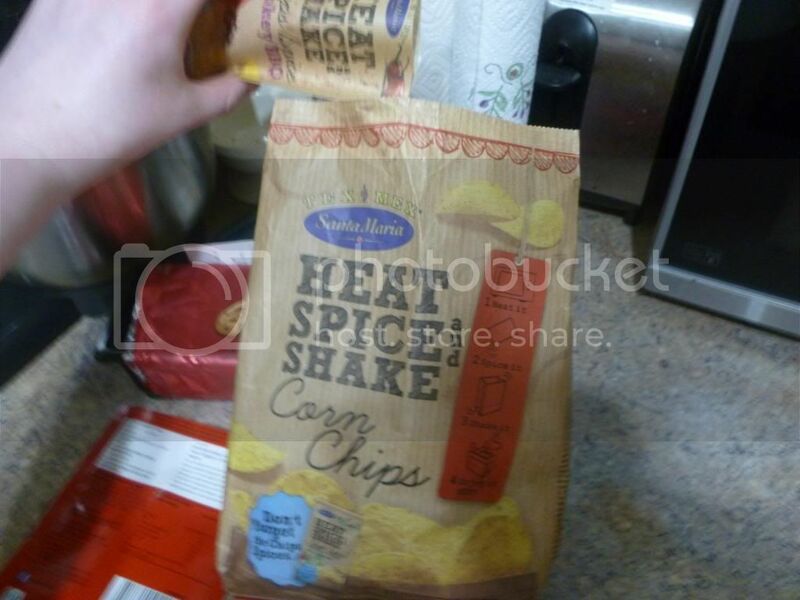 Heat, Spice and Shake Corn Chips are plain, but you can add whichever of their flavour sachets you like. They'd sent me the Smokey BBQ. Basically you heat the chips in the microwave and then add the flavour sachet. It was a bit annoying because there were no heating instructions so you just have to keep checking. They were tasty anyway, and added a good texture to the fajitas. 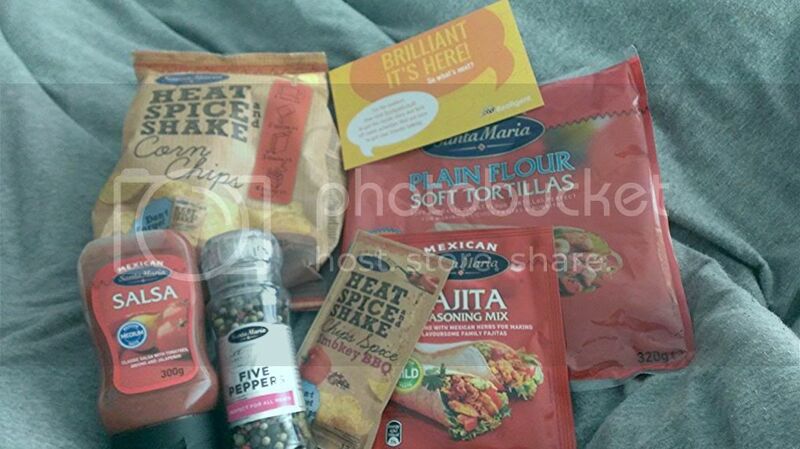 The fajita seasoning sachet flavour was 'mild' but I thought it had a bit of a kick! I like that but it isn't that good if you don't like spice. I suppose you wouldn't be having fajitas in that case. 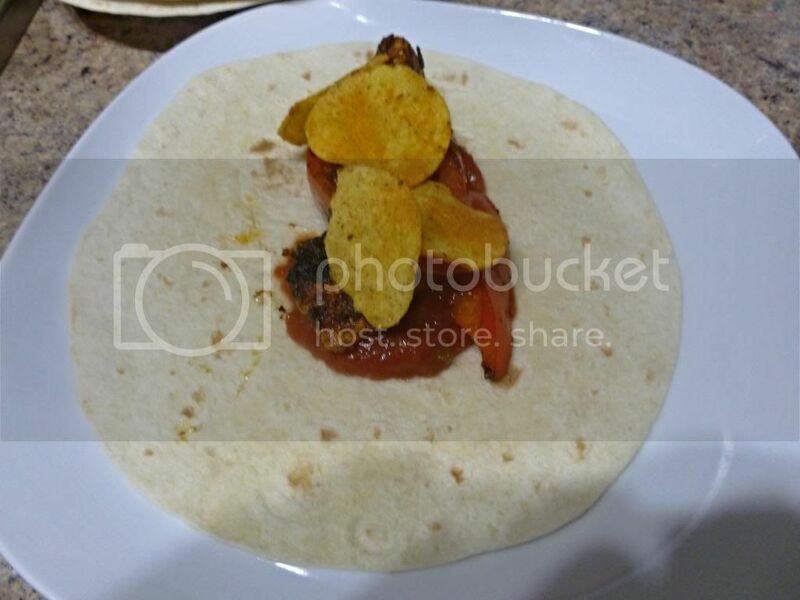 Overall, I really enjoyed my fajita meal and the chips were a great addition. The only item I didn't use was the Five Peppers seasoning grinder- I'm going to use it tomorrow to season my lamb salad! *Goodness me these photos are dreadful. Sorry about that, I was over excited! Foooood. fajitas are my favourite, love them so much, the best. Ι LOVE FAJITAS!!! THANK YOU SO MUCH!! !